The Cocktail-JAM Mini Kit (patent pending) is a TAMA original, in both appearance and sound. This kit is similar to Tama's Cocktail-JAM kit, but each drum is 2" smaller in diameter on the Cocktail-JAM Mini kit, making this kit even more compact and convenient. This kit is great for hip-hop, jazz, or any music style requiring a tight sonic conception. Especially at-home in intimate acoustic settings and tight rehearsal rooms, the Cocktail-JAM Mini kit can be set up in the traditional drum set position, yet with a super small footprint. Cymbals and small percussion can be added to the Cocktail-Jam Mini kit using Tama's variety of clamps and attachments to make this kit even more versatile. Additionally, the Cocktail-JAM Mini Kit and its hardware can be packed into just two bags (included with the kit), making it super portable and easy to transport to any gig. 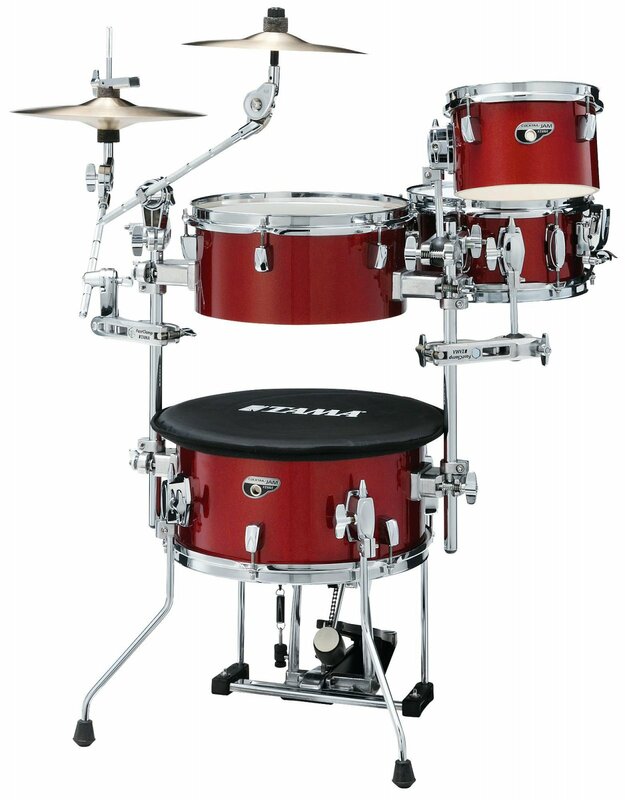 Bass drum pedal and mounting brackets are included.